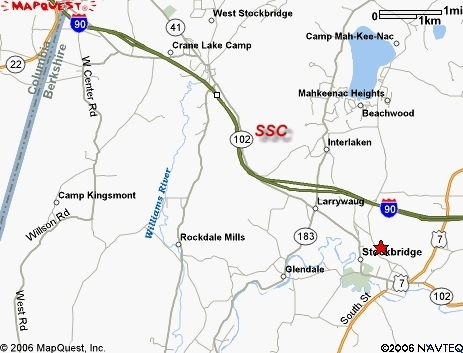 The Stockbridge Sportsmen's Club is located on Route 102, 1.3 miles west of the intersection of Routes 102 and 183 (Berkshire Botanical Garden), and 1.7 miles east of the center of West Stockbridge. You will see our sign and entrance at a pull-off area.The address is 24 West Stockbridge Road, Stockbridge, MA. GPS coordinates are N 42° 18' 37.834", W 73° 21' 11.768", or 42.310616, -73.355046. For general club related questions, use the contact form below. For Membership and Hall Rental inquiries, please use the contact forms on those pages. CLUB GENERAL CONTACT FORM. FOR MEMBERSHIP OR HALL RENTAL CONTACT PLEASE SEE THOSE PAGES. 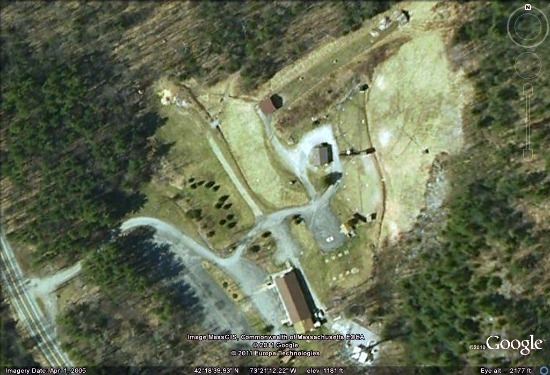 Satellite Image of Stockbridge Sportsmen's Club courtesy of Google Earth.